Building access for set up and decorating beginning at 9:00 am the day of the event. 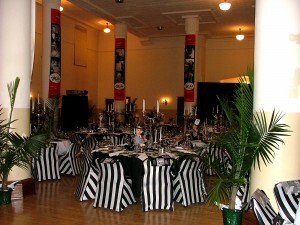 The use of tables/chairs including set up and break down when provided by Scottish Rite. The ability to use an outside caterer. The caterer must be pre-approved by Scottish Rite. Large dance floor area (24’ x 24’). 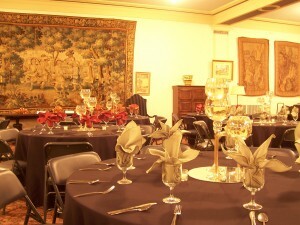 The Scottish Rite schedules only one event per day in each room. An event supervisor and uniformed security guard. A refundable security deposit of $500 is required at the time of booking and will be refunded provided no damages to facility have been assessed. Charges are based on a 6 hour rental event plus 8 hours of load in/load out time. Charges begin at the time the facility is scheduled to open and end when the facility is closed. All guests and vendors must have departed. 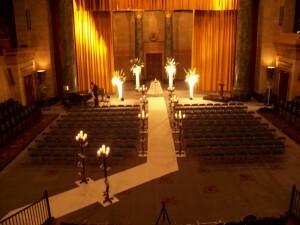 The client is responsible for all individuals in attendance including guests and vendors. As a historic building, Scottish Rite places a priority on the safety of its guests and the protection of its contents as such all vendors must be pre-approved. Scheduling of delivery and set-up of rental items is must be pre-approved by Scottish Rite. All events must end at 12:00 am. 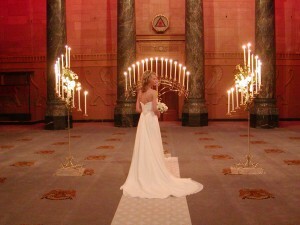 Clients, guests and catering staff must depart the property not later than 1:00 a.m. The client must provide the Scottish Rite with complete details for the event and review the details of the event 10-days prior to the event. All décor is subject to Scottish Rite approval. No items may be taped/adhered to the walls, ceiling or floor. The use of confetti is not allowed. All alcohol must be served by bartenders, 1 bartender per 100 guests. Scottish Rite allows keg beer to be served with a maximum of 6 kegs per party. The client agrees to closely monitor the alcohol consumption of guests and to take immediate and appropriate action to safeguard guests and Scottish Rite. Alcohol may not be served after 11:30 p.m.
For more information and to schedule a building tour, contact us, or email us.